Sedona is an excellent base of operations if you are interested in exploring the north central part of Arizona. It is a fascinating place in and of itself and there are ample facilities in town to support a stay of several days or even weeks. There is a wide variety of lodging available in the the Sedona area ranging from camp grounds to top of the line resorts and virtually everything in between. There is a multitude of restaurants serving a wide variety of cuisine and some of them are particularly worthy of note. (See the restaurant list for my current favorites.) 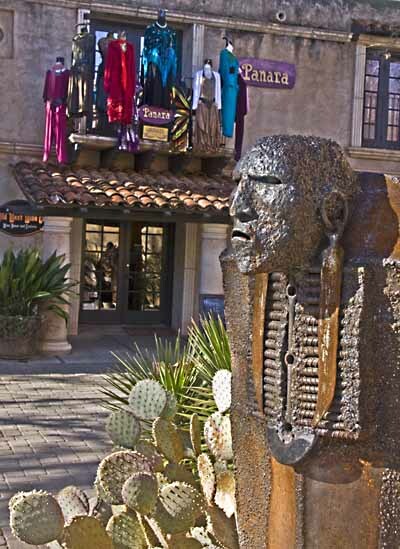 The art galleries are some of the best in the entire Southwest and offer a wide spectrum of artistic style and medium. Shops are omnipresent and offer everything from basics to exotic location-centric items not to be found elsewhere. Tour companies offer helicopter flights, back country jeep tours, balloon rides, guided hiking trips, trout fishing, horseback rides, historic rail trips, as well as guided visits to the vortexes and spiritual centers hidden in the Red Rock cliffs surrounding town. 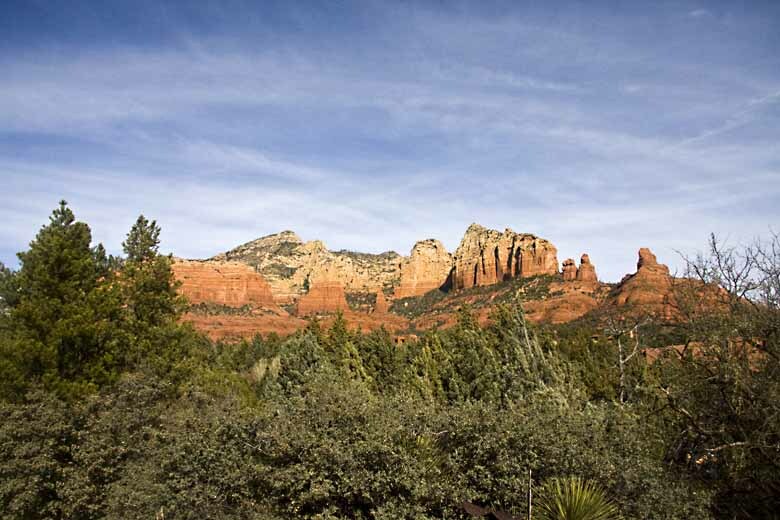 The pace of life and the mood of the inhabitants makes Sedona conducive to a relaxed stay for a visitor. The economy of the town depends on tourism and the townspeople go out of their way to make tourists welcome. It is now possible to walk throughout most of town on sidewalks even though the majority of folks still drive everywhere. A small museum on the outskirts of town offers an insight into pioneering Sedona. There is a free shuttle bus that runs through the part of town of most interest to tourists so it is particularly easy to spend a day just wandering through the shops and art galleries. Even if you are not buying anything other than the mandatory t-shirt, the wander will be interesting. The artistic aspect of the exploration is the equal of a day in a major city's best art gallery. Along the way it is possible to find a variety of delicious ice cream, pastries, sandwiches, wine tastings, and full course meals. The local brewery also offers good brews if the day is overly warm (assuming that you need an excuse). Even if you are not interested in walking the trails into the wilderness, the monoliths can be an interesting part of your visit to Sedona. Get a good map of town from one of the several visitor's centers and drive out to the various view points around the town. It can easily consume half a day with stops at each of the view points for pictures. These huge red cliffs are entirely different depending on which side you are looking at and what time of day you are doing the looking. 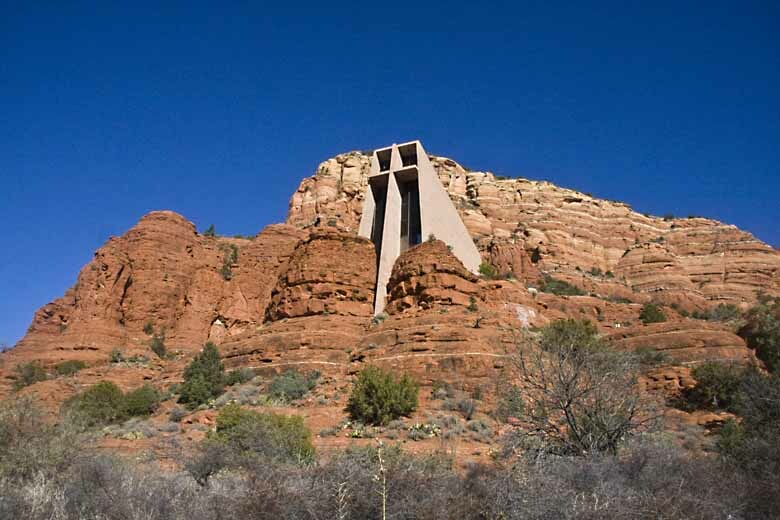 Make sure to include the Chapel of the Holy Cross on your wander around the monumental red cliffs. It is one of the more dramatic locations for a church that I have ever seen anywhere in my travels. Also make sure to find the ideal spot for sunset and get there in time to watch the light show as the cliffs and the sky change colors. Beautiful desert sunsets are frequent and are among the best that I have ever seen. When one combines a huge red monolith with the changing colors in the sky it can be memorable.